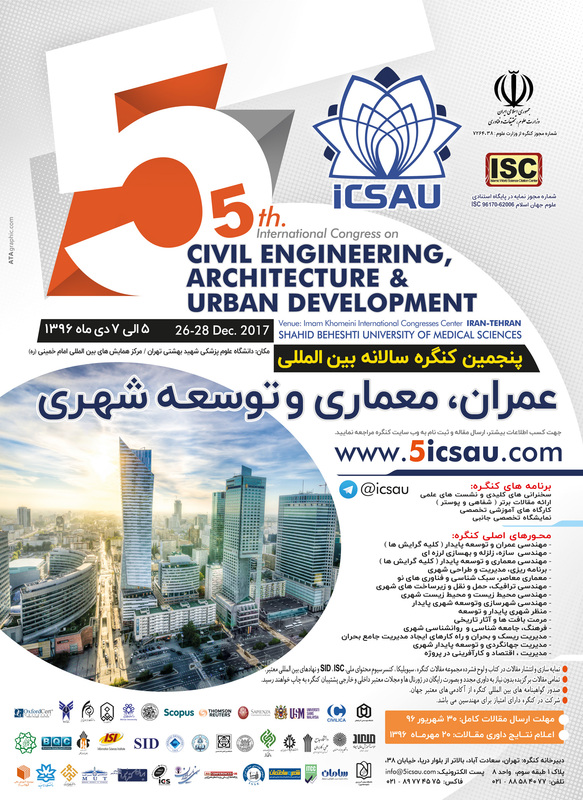 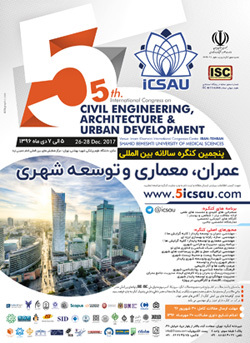 In 5th.International Congress on Civil Engineering, Architecture and Urban Development as the biggest, most valid and most disciplined annual scientific, research and executive gathering in civil, architecture, urbanization and environment in the Middle east in Iran and Shahid Behehshti Tehran University, several programs are considered in reaching the conference goals. 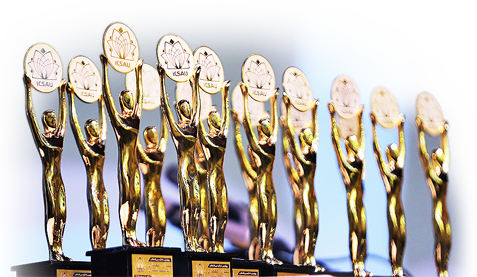 The whole efforts of supreme council, policy makers and executers of this conference are that all the participants use their precious moments. 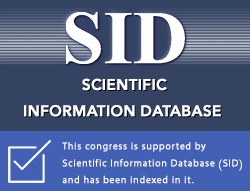 Not only the exploitation of conference time, but also the effective relation after holding the conference in order to continue this international movement and implement conference applied results is the objectives of holding this conference. 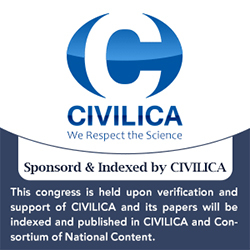 - Selecting the best of conference including the best paper, the best specialized panel, the best participant, the best sponsor, the best booth, etc.